Hundreds of demonstrators stood at the doors of a museum in Catalonia in a bid to prevent the transfer of medieval artworks to outside the region. The 44 artworks, including burial caskets and sculptures, were brought to Catalonia from the Sijena Monastery in Huesca, Aragon, during the 1990s. However, Aragon has long demanded them back. 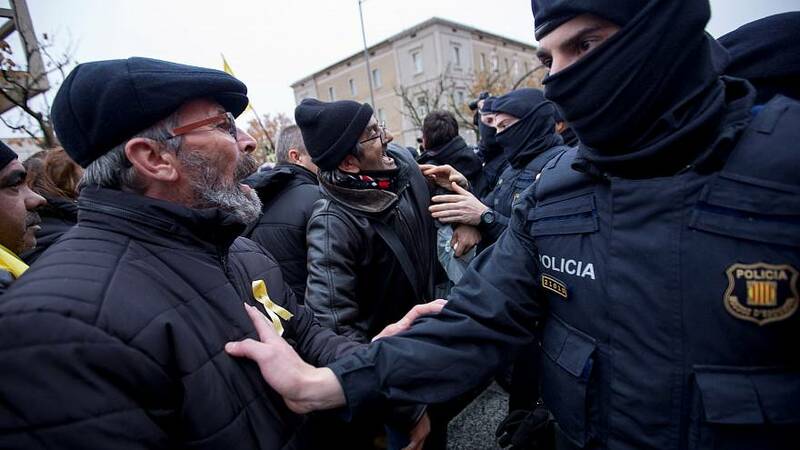 Catalonia's regional police had to forcibly remove pro-independence demonstrators from the Museum of Lleida, we they were trying to prevent the relocation of the medieval treasures. Technicians were sent to begin the process of extracting the artworks at 3am to avoid the protests originally scheduled for 7:30 in the morning. The decision to take the move was made by Spain's minister of culture, Iñigo Méndez de Vigo, who assumed responsibility once the Catalan government was dissolved by Madrid following its declaration of independence. However, the demonstrators presented copies of a contract that they claim show the Sijena pieces were purchased by the Catalan government. The works include burial caskets of three prioresses from the fifteenth-century monastery, as well as six alabaster reliefs by the French sculptor Gabriel Joly from around 1530.